We’ve seen just about everything! 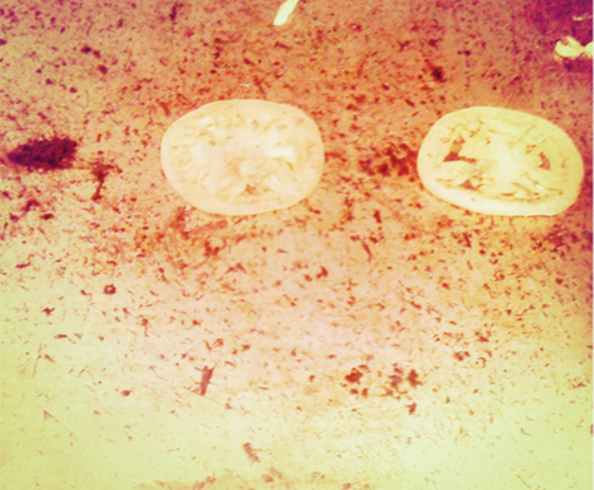 Carpets burned as a result of a hot iron and carpet weave shredded by cats’ claws. We’ve seen ripped weave caused by Fido the dog trying to bury his bone and enough red wine and orange paint stains to create a masterpiece worthy of being called ‘an original by Jackson Pollack’. 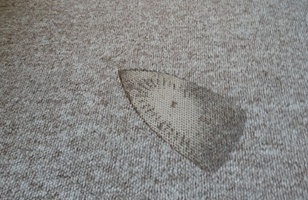 What our team, which operates out of carpet repair Manchester firm Carpet Surgeon, has rarely seen however, is a carpet which cannot be repaired. Using the latest materials, equipment and techniques we won’t (to coin a phrase) “make a drama out of a crisis”. 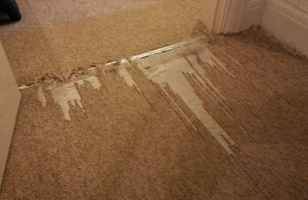 In fact, with our accumulated expertise in carpet repair, customers regularly save a small fortune. Take your eye off the kids or family pet for just a couple of minutes and there’s no telling what they’ll get up to. Dogs love chewing and given half the chance, a carpet to a dog is like a red rag to a bull. On the other hand, kids are never satisfied with the colour of walls, carpets or just about any other fixture or fitting. Kids have absolutely no hesitation in applying beautiful shaped patterns to a carpet; oils, acrylics or water colour paint are their preferred media. However, they’re not averse to mud, blackcurrant juice or even the odd dollop of ketchup with a smattering of brown sauce to top off their creation. 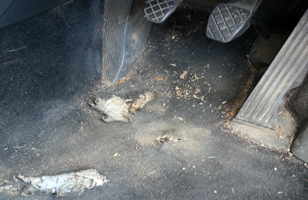 Now you may have come across this and thought the carpet was beyond repair – but think again. Although some marks and stains are easy to remove with off the shelf products, others aren’t. But why should you have to replace an entire carpet just because you have a budding ‘interior designer’ or ‘award winning artist’ in the family? Nine times out of ten carpets aren’t covered on a regular contents insurance policy. Replacing a carpet can cost many hundreds of pounds; it isn’t unusual for a carpet to cost into the thousands of pounds. Not everyone has that sort of cash on the hip (or in the bank) unless of course you are earning mega money. Whatever you do don’t make a claim on your insurance or spend out on a new carpet to replace it before you speak to an expert. Our team (we like to call the guys ‘The A-Team’) are able to sort out pretty much any stain, burn or other issue with a carpet. Repairs can be a made which are virtually invisible and will return a carpet to its former glory. The good thing is you won’t have to go searching for them; they’ll come to you. All you have to do is make the call on 0789 999 2424 and you’ll get an immediate response. On the other hand you can send us the details via the website and we’ll be in touch so you don’t have to spend any money on the call. We’re here to help; just ask any one of the thousands of customers we have helped in the past. Carpet repair and refurbishment is always more cost effective than complete replacement. Of course, it may be your kids are more powerful than the A-team and there is no hope – but we doubt it.